Canadian Chef Michael Smith is a leader in the food world in terms of sustainability. He learned that sustainability and local fresh food was a valuable asset to customers from the beginning of his career, at The Inn at Bay Fortune in Prince Edward Island. When he first started out he began to realize the impact of fresh produce on the restaurant. Each evening during their dinner service they would have their dishwasher get dressed in a chef’s uniform to go out into the garden which was overlooked by the dining area and do some weeding. This was used to prove to the guests that they were receiving fresh produce from the local garden. 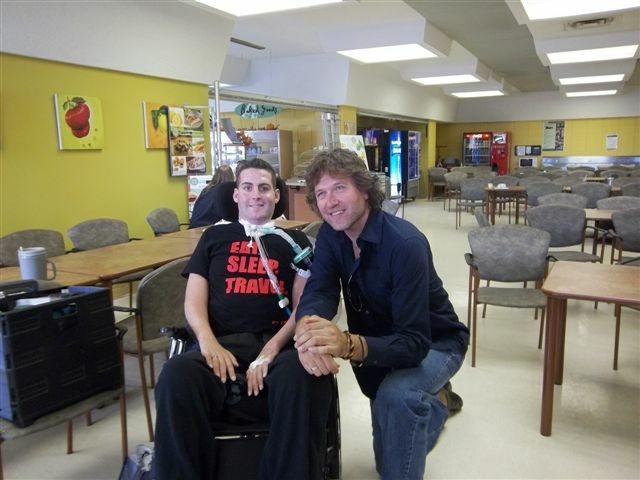 During Smith’s new book tour he made a stop at my new residence, St. Mary’s of the Lake Hospital to speak a little bit about the importance of eating healthy. During his visit not only did I get a signed copy of his latest cookbook but also a chance to interview him about the importance of sustainability within the food industry. In 2008 Smith formed a strategic alliance with the Canadian leading provider of integrated food and facilities management services Sodexo. This alliance will focus on multiple areas such as sustainable culinary practices, employee training and development, while also supporting the company’s hunger charity. During my interview with Smith I asked him how he feels a restaurant should embrace sustainability in which he responded with the following answer. “Wholeheartedly 100%, it is to recognize that we are in a position of influence, that every single day we have guests coming through our doors that offer us the opportunity to do what we do. We are able to offer a powerful connection to food, engage our guest in an easy straightforward way and manner.” Meaning that only is a restaurant sustainable but is also a learning ground for people to be conscious of where their food comes from as well as prepared. On January 12, 2012 the alliance between Smith and Sodexo took on a new project. They opened a new restaurant at Queens University in which provides guests with a unique Canadiana experience. 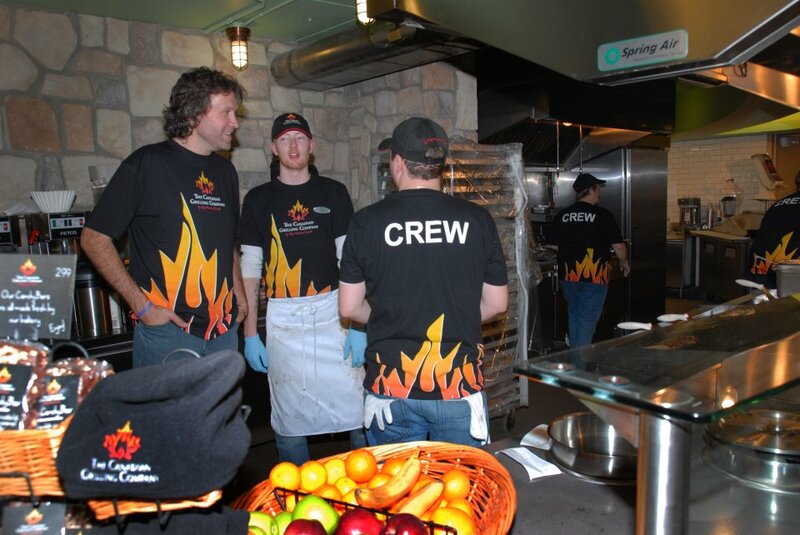 The unique brand of The Canadian Grilling Company was formed to provide a place where people love to eat, work as well as learn about Canadian sustainable food. The company plans to expand throughout Canada with no particular rush. The Canadian Grilling Company is focused on allowing for its consumers to learn all about the food they are consuming. As Smith said “you come and get a burger from me and by the time you leave you’re going to know quite a bit about where the meat came from through videos, stories, collateral, signage and decor.” This aspect of The Canadian Grilling Company allows not only for them to be a successful restaurant but allows them to educate the surrounding community on the importance of local and organic food. This new partnership allows for great opportunities to come, not only is it sustainable but it is also an education device for those wanting to know more about sustainability when it comes to food and dining. Next Next post: A big statement made at PJ’s restaurant!